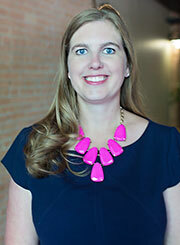 Jennifer E. Balmos, Partner : Weir Johnson PLLC - Protection. Enforcement. Results. Jennifer E. Balmos, partner at Weir Johnson, PLLC, focuses on copyright enforcement. For seven years, Ms. Balmos served as in-house counsel at BSA — The Software Alliance, the foremost trade association of software publishers. She began as an enforcement attorney, responsible for both investigating and resolving a large docket of copyright infringement matters. Ms. Balmos then assumed responsibility for BSA’s North America enforcement program, managing outside counsel in both the United States and Canada. During her tenure, BSA’s North American program reached some of the largest settlements in its two-decade history. Previously, Ms. Balmos served in the Civil Penalties Division of the Office of Foreign Assets Control, where she primarily reviewed violations of the Trading With the Enemy Act, Iran Sanctions Act and Sudanese Sanctions Regulations. Working closely with the investigation division to fully develop each case, Ms. Balmos recommended civil penalties or waiver thereof for individuals, financial institutions and corporations. Cognizant of the costs of litigation for both sides, Ms. Balmos strives to resolve disputes out of court whenever possible. State Bar of Washington, D.C.